Jaya Prada was born on April 3rd of 1962 in India. This future Indian film actress and politician was born with the name Lalita Rani; she would change her name as she entered the film industry. Born into a middle class family, her father was a film financer which would assist her later in life as she entered the film industry. It is said she initially had no interest in acting as she wished to be a doctor; however, at the behest of her mother she was enrolled in dance and music classes from an early age. Jaya Prada would learn many of the skills she would use as an actress though these lessons; but her big break into the industry would be though a different avenue. In 1986 at the age of 24 Jaya Prada was married to Srikanth Nahata. Her marriage was not without controversy; Srikanth Nahata was already married and had three children when he married Jaya. It was anticipated that a divorce would follow; instead Jaya has agreed with Nahata’s previous wife to share Nahata as their husband. As of yet she has no children of her own, although she has expressed interest in having children previously. Jaya Prada’s acting career was launched at the age of 14 when at a school dance recital a film producer offered her a three minute dance in a film. This opportunity was relatively small but it created exposure for her and generated many more opportunities. She gained notoriety and true stardom in India in 1976 as her acting career continued to grow. In 1979 this young Indian actress was introduced to Bollywood. since then she has enjoyed a successful acting career but it was not without roadblocks. 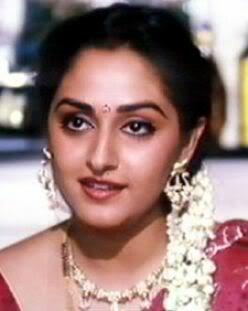 Until 1982 Jaya Prada lost out on many opportunities as she could not speak Hindi fluently at the time. In her 30 year acting career she has completed over 300 films and acted in seven languages. Jaya has been honoured with three best actress awards and also received a lifetime achievement award in 2007. Today Jaya Prada owns her own theatre in Chennai, India. Jaya Prada like many other actresses did not confine herself to a life of only acting. In 1994 she broke into politics. She has changed political affiliations many times and yet her personal popularity has remained high in contested regions of India. In 1996, two years after her foray into the political realm, Jaya Prada was rewarded with the nomination to the Rajya Sabha. In the most recent elections held in India Jaya continued her success by winning re-election. Her political career however has not been smooth as many of her detractors have stirred controversy around her name.